Friday 2nd December 2011: Tracey Rogers (Executive Producer), Simon Weston (Falklands war veteran ) and Mark Kenna (Director / Producer). 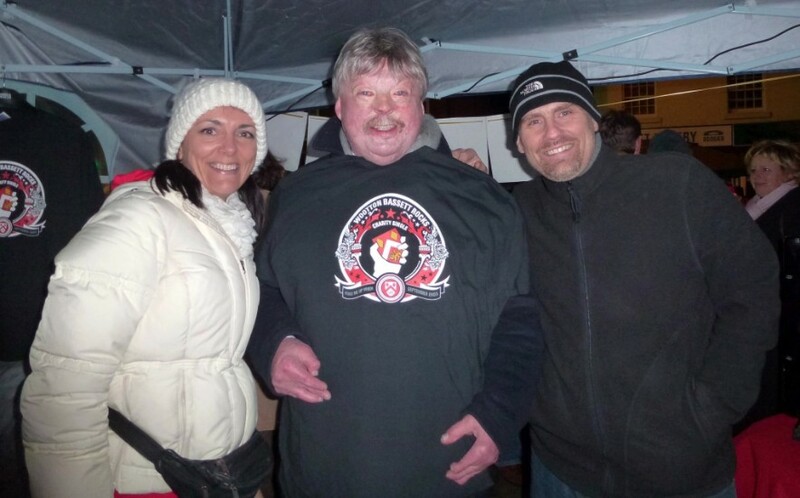 Falklands war veteran, Simon Weston joined the Wootton Bassett Rocks team in Royal Wootton Bassett on Friday 2nd December during the biggest Christmas lights crowd the town has seen. The High Street was packed with more than 10,000 revellers, who had come to enjoy the many stalls, shops and shows on offer with the Wootton Bassett Rocks stall playing the charity music video selling t-shirts, wristbands, Wootton Bassett Rock and limited edition DVD's, raising money for Royal British Legion, SSAFA, Combat Stress and The Undentable Trust. About Simon: In 1982 the Sir Galahad was destroyed in Bluff Cove on the Falkland Islands. On board was Simon Weston, Welsh Guardsman, a name and face that was going to become well known for his struggle to overcome his injuries (46% burns) and redefine his role in life. Simon endured years of re-constructive surgery, including 70 major operations or surgical procedures. For more information, please visit Simon's website and follow him on twitter @simon_weston. Saturday 26 November 2011: Andy Graham (Radio Presenter and ex-forces in the Royal Electrical & Mechanical Engineers). 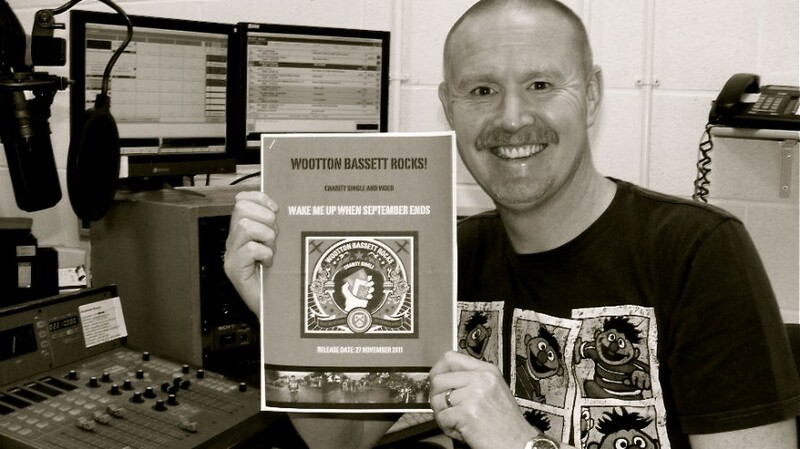 A huge thank you to Andy Graham, a radio show presenter on WFM who has been playing Wootton Bassett Rocks version of Green Day's 'Wake Me Up When September Comes' on his Music 4 Life program, Wythenshawe FM 97.2. Check it out online 4 til 6pm on Saturday! Thanks Andy from all the Wootton Bassett Rocks team. WFM is a community radio station based in the heart of Wythenshawe town centre. It belongs to the community who live and work in the area and acts as a platform for them to have a voice which might otherwise go unheard. 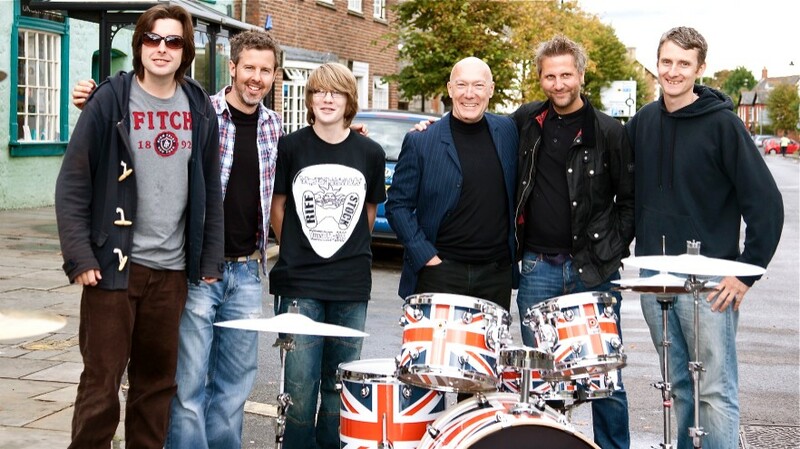 Sunday 18 September 2011: Alex Hudd, Rick Buckler (4th left, Drummer from The Jam), Andy Wraight.